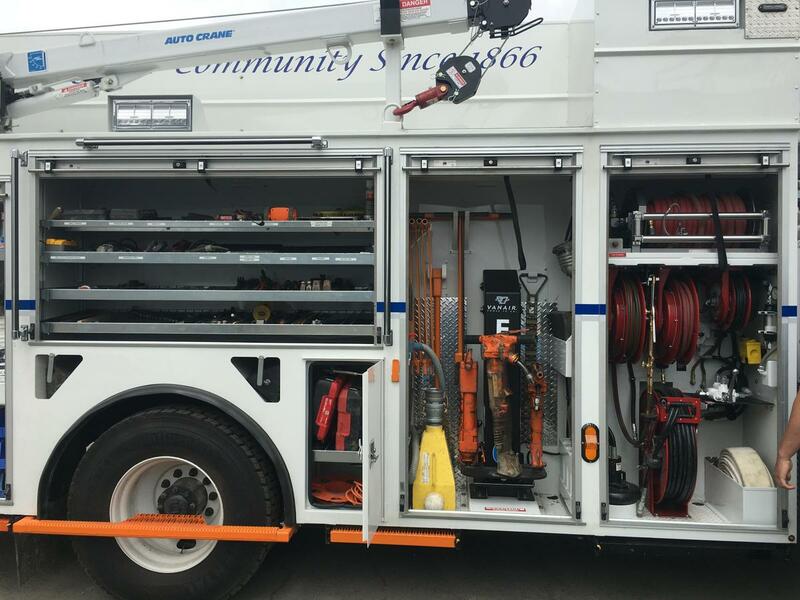 Do you think of high-tech, performance engineering when you think of utility trucks? You should. These babies have all the bells and whistles. Why Did SJW Need New Trucks? Currently, SJW operates nine mainline crew trucks and two hydrant crew trucks that are dispatched to handle water emergencies. Our fleet was last replaced in the early 2000s. Like any vehicle that clocks a lot of road hours, they are reaching the end of their useful life. This gave Nick Leles, Director of Distribution Systems, Logistics, and Procurement, an opportunity to rethink the truck’s design and better match it to the needs of the crews using them and the customers they serve. The investment in new trucks was timely. Recent changes to Air Quality Resource Board regulations, require SJW to replace its entire medium and heavy-duty fleet between 2010 and 2021. In 2017, you’ll see six new crew trucks, one scoop loader, one dump truck with an innovative asphalt auger system, and one hydrant truck out on the roads. The new crew trucks hold 100 gallons of fuel, doubling the fuel capacity of our crew trucks compared to the older 50-gallon-tank models, allowing teams to spend 14 hours out in the field if necessary. The city of San Jose requires a city-issued permit for crews to work. New onboard technologies in the trucks allow crews to access critical water system data and obtain required city permits out in the field. In the past, crews had to evaluate a situation and return to the SJW office to obtain their city-issued work permit before returning back to the scene and beginning any necessary repairs. Now SJW crews will be able to evaluate, submit necessary information and obtain necessary permits, all directly in the field. The new onboard technology will reduce the amount of time and miles traveled between initial evaluation and final repair. Safety for our repair crews and our customers is our utmost concern, which is why the new trucks have been redesigned inside and out. For example, our crews use oxygen/acetylene to cut stubborn rusty nuts and bolts and steel pipe. This fuel is highly flammable and dangerous without proper precautions. The older truck units housed the flammable fuel with a hose reel on the driver side of the vehicle because it was concerned more convenient. This posed a safety hazard as most of the crew’s work is performed on the curbside. Workers would pass the hose under the truck to get it to the side they were working on most frequently. This posed a safety risk to workers as they would have to kneel and lie down on the unprotected side of the truck to pass the hose under the truck. The new trucks still carry the fuel on the driver side of the vehicle. But the lines carrying the fuel are hard plumbed to the curbside of the truck and connected to a retractable hose reel. By relocating the hose to the other side of the truck, the potential risk of a worker being struck by another vehicle has been greatly reduced. Another important feature is Wig Wags. These bright, LED flashers have a funny name but a serious purpose, they provide important traffic control instructions that divert traffic away from our trucks and crew and improve on-site worker visibility. Similarly, other redesigned features like hydraulic lifts, integrated listening devices for locating leaks, pullout steps, external lighting, and hand-wash stations enhance both the safety of the crews and the public, while helping SJW provide faster, more efficient service. Follow SJW on Twitter and Facebook to track the truck as it helps our team serve our community.